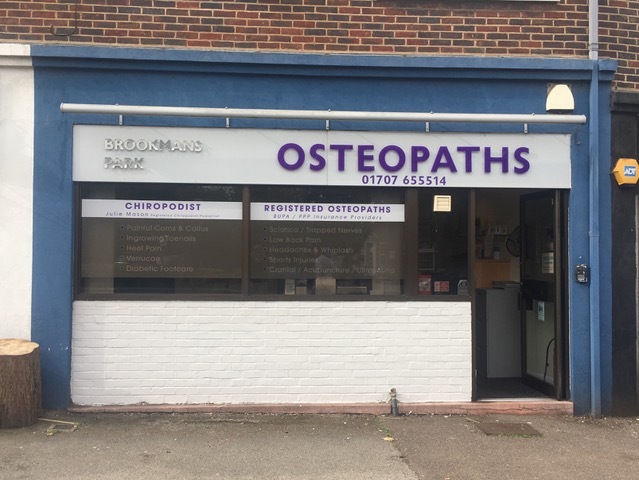 Situated in the heart of Brookmans Park village, our practice was established in 1999 to provide a high quality osteopathic service in a friendly, caring environment. We offer a range of treatments for health issues at every stage in life. Our approach is based on understanding and correcting the causes of musculoskeletal imbalances. We treat chronic long term injuries and illness, as well as acute episodes of pain. Many of our patients report an improvement in their symptoms after the first treatment and 90% relief of pain by the third session. 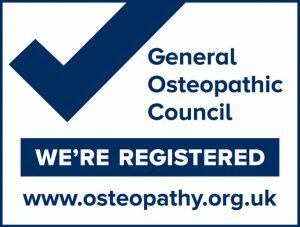 All our osteopaths are registered with the General Osteopathic Council and British Osteopathic Association (BOA). We are recognised by health insurers including BUPA, PPP, Norwich Union and HSA. After obtaining a degree in Psychology and 5 years working in the Pharmaceutical industry, Nikki retrained as an Osteopath. She set up the practice in 1999 and has seen it grow to house another three Osteopaths, a Chiropodist and a Therapeutic Masseur. Nikki is also qualified in the use of Medical Acupuncture, ultrasound, interferential, and TENS machines and has attended courses for treating Frozen Shoulder (Niel-Asher technique) and in giving Nutritional advice. Nikki has a special interest in treating migraines, headaches and whiplash. As well as practicing osteopathy and managing the practice, Nikki runs regularly and plays tennis for Potters Bar Tennis Club. Nick joined the practice in 2005 and has contributed much to the team’s understanding of injuries experienced by sportsmen, having run the Paris, London and Edinburgh marathons himself. As well as using the traditional osteopathic techniques Nick has trained in and uses Acupuncture and Ultrasound Therapy. He has a diploma in naturopathy from the British College of Osteopathic Medicine. Since the age of 15 Tom has wanted to be an osteopath. His love of rugby together with a hunger for learning and helping people, naturally led him into the profession. As a scout going on expeditions, and as a keen sportsman, playing rugby union to a national level, Tom is very much a team player. Outdoor pursuits such as mountain biking, and in the past Duke of Edinburgh award schemes, have taken up much of his spare time. Tom works hard to achieve the best results for his patients and very much tailors his treatment and rehabilitation approach to the individual. If you would like to book an appointment with Tom, please call us today! 01707 655514. Jonathan graduated from Cardiff university in 2012 with first class honours in Physiotherapy. He then started his career in the NHS where he treated a variety of patients from amputees through to cardiac rehabilitation. After completing his general physiotherapy rotations Jonathan swiftly moved into private practice to specialise. Jonathan has worked extensively with elite and recreational athletes throughout his time working in private practices across London. Jonathan has undergone specialist musculoskeletal training through the completion of post-graduate education for diagnostic ultrasound and injection therapy. Jonathan has not stopped there and is currently awaiting certification for prescribing rights following completion of further post-graduate study. It has always been Jonathan’s goal to offer patients instant access to high level diagnostics and specialist treatments at local therapy centres, reducing waiting times and the need to rely on busy hospital departments. Julie Mason is a chiropodist/podiatrist registered with the Health Professions Council. Julie joined the practice in 2006 and set up the chiropody clinic which is now open each Monday, Tuesday, Thursday and Saturday. After graduating in 1984 she worked for most of her career in the NHS in central London, working both in hospitals & in the community. Rosy graduated from the British College of Osteopathic Medicine in 2004 and went on to complete an MSc in Sports & Exercise Medicine in 2010. She has a broad range of experience of working in professional and amateur sports including rugby, athletics and hockey. She was privileged to have worked as an Osteopath on the core medical team in the Sailing Village at the London 2012 Olympic & Paralympic Games and as a member of the Rugby Sevens Field of Play team at the Rio 2016 Olympic Games. Alongside working in private practice, she works a supervisor in the student clinic at the London School of Osteopathy.